Wilson Fisk, perhaps better known as Kingpin, is one of the most popular and interesting villains Marvel has ever produced, both in their comics and in live-action. 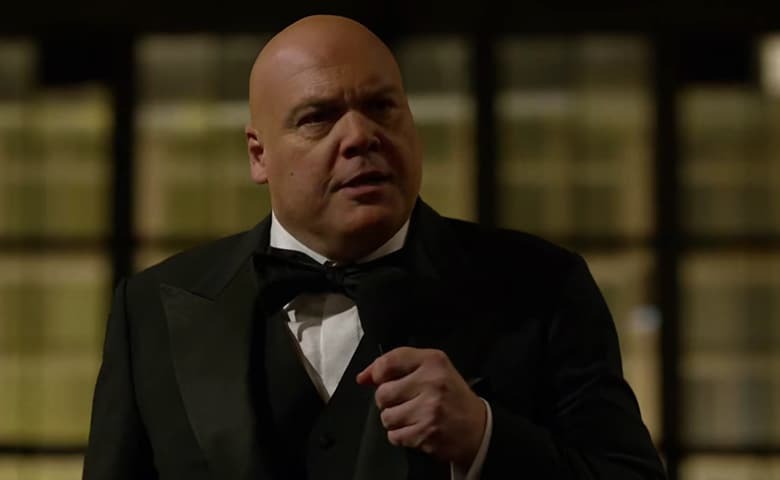 You should have seen Marvel’s Daredevil series on Netflix by now: it’s had two critically acclaimed seasons, both of which featured Vincent D’Onofrio’s standout portrayal of Fisk. Minor spoilers ahead: Fisk is in prison at the moment, but his conversation with The Punisher revealed that he plans on continuing his takeover of Hell’s Kitchen once he’s released. Does this mean we could see him leave prison in time for Daredevil Season 3? Or perhaps he’ll cause trouble for The Defenders when they debut next year? Who knows. Fans are constantly speculating and asking questions – especially on Twitter – and D’Onofrio took some time out to reply regarding reprising his role in future seasons of the show. Specifically, he was asked whether he’d cameo in Season 3, much like the second season, or if he’d return with an expanded role. See his response below. Who says I'm in season 3? There is a chance he genuinely knows nothing about the upcoming season, but another fan tweeted that he won’t tune in to the show if D’Onofrio doesn’t return; provoking a rather passionate response from the man himself. It started a new way of watching super hero stories. It’s awesome seeing an actor so enthusiastic with a project they’re involved with, and we can only hope that Marvel and Netflix decide to bring Wilson Fisk back into Hell’s Kitchen sooner rather than later. He is truly one of the greatest and most complex villain in their entire Cinematic Universe so far. A third season of Daredevil has been confirmed, but it’s yet to be scheduled.